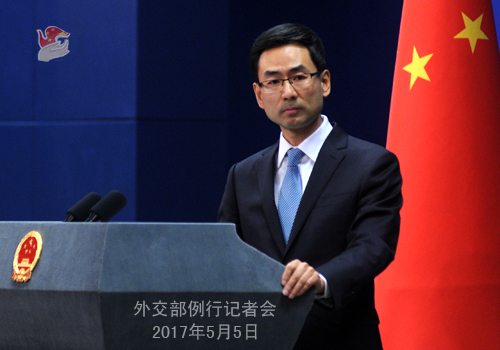 At the invitation of leaders of the Republic of Senegal, the Republic of Chad and the Republic of Burundi, Vice President Li Yuanchao will pay official goodwill visits to the three countries from May 6 to 12. China and Senegal are good friends and partners. Working in concert, the two countries have secured continued and rapid growth of the bilateral relationship, deepened political mutual trust, increased exchanges at various levels and achieved fruitful results in economic cooperation and trade. While implementing the agreements reached by the leaders of the two countries and the outcomes of the FOCAC Johannesburg Summit, the Chinese side will work with Senegal to push forward bilateral cooperation across the board for the benefit of the two peoples. Since China and Chad restored diplomatic ties in 2006, the two countries have seen quick recovery and development of bilateral exchanges and cooperation in various fields, as evidenced by frequent high-level visits, remarkable progress in cooperation in infrastructure, energy, resources and agriculture, and wide people-to-people exchanges. We expect to further implement the important agreements reached by the presidents of the two countries and the outcomes of the FOCAC Johannesburg Summit, and advance the sound relationship between China and Chad through the visit. China and Burundi have enjoyed a long-time friendship. Over the years, the two countries have maintained exchanges at various levels, increased political mutual trust, conducted productive cooperation in infrastructure, agriculture, education, public health and human resources training, and kept good communication and coordination in international affairs. Together with Burundi, we will consolidate our traditional friendship, deepen practical cooperation and better implement the outcomes of the FOCAC Johannesburg Summit in Burundi so as to improve the well-being of people of the two countries. Q: Has the Chinese government specifically requested US President Donald Trump not to meet the Dalai Lama? A: We have repeatedly stated our position on this issue. The 14th Dalai Lama is not a simple religious figure but a political exile who has long been engaged in anti-China separatist activities. The Chinese side stands firmly against any foreign country's approval of Dalai Lama's visit and any foreign official's contact with him in any form. 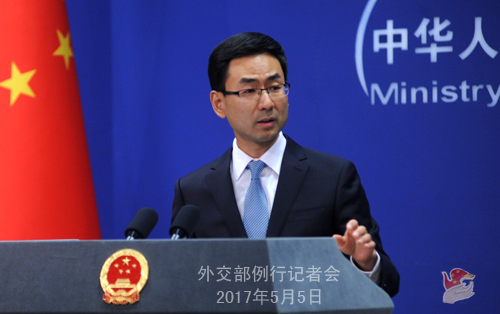 Q: First, according to ROK media reports, the Chinese government has recently ceased all financial transactions with the DPRK. Can you confirm that? Second, the US House of Representatives has recently approved tighter sanctions on the DPRK. What is your comment on that? A: On your first question, I want to stress once again that the Chinese side always fully, accurately, faithfully and strictly implements the Security Council resolutions on the DPRK. I am not aware of the specifics you mentioned. On your second question, we have taken quite a few similar questions these days. I would like to reiterate that the Chinese side opposes any country's imposition of unilateral sanctions on other countries based on its domestic law. Given that the current situation on the Korean Peninsula is complex, delicate and highly tense, it is all the more important that all relevant parties exercise restraint, avoid taking provocative moves and prevent the situation from escalating. Q: The Belt and Road Forum for International Cooperation is going to open in less than ten days. There has been growing attention and media reports. We have noted that in the West, some people say that the Belt and Road initiative is not "win-win", but controlled by China. How do you respond to that? A: There have been various interpretations about the Belt and Road initiative since it was put forward. We have also noted viewpoints like the one you mentioned, which is a complete misunderstanding based on stereotype. Indeed, the initiative was put forward by China, but the construction has been undertaken by all sides. China does not want to play a solo or monopolize the microphone. Committed to the principle of extensive consultation, joint contribution and shared benefits, we want to discuss and do things together with others to produce benefits for all. 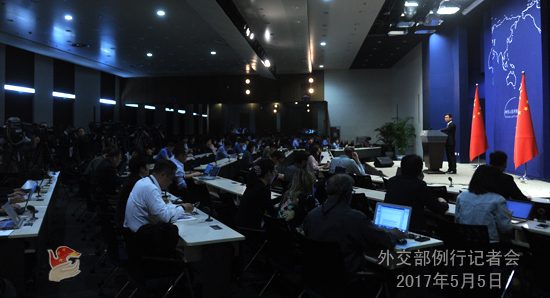 The Chinese side is negotiating the outcome document with other countries attending the forum. It will be a result of extensive consultation, collective wisdom and consensus, instead of China's own view. To date, over 100 countries and international organizations have made positive response to and voiced their support for the initiative. More than 40 countries and international organizations have signed cooperation agreements with China. Countries along the routes are active in synergizing development strategies and advancing cooperation programs. The enthusiasm for joint contribution is high with remarkable outcomes. It is also worth mentioning that people of various circles from 110 countries will attend the forum. If the Belt and Road was "controlled" by China and people could not share the benefits, they would not be so enthusiastic about it. All in all, the Chinese side will work together with all other participants to ensure the great success of the forum, further gather consensus, chart the course, work out plans, advance the outcomes and add fresh and stronger impetus to the initiative. Q: Philippine President Duterte reportedly said that he called President Xi Jinping four days ago at the behest of President Trump, during which they discussed the situation in the DPRK. Can you please clarify who initiated the call, and what was discussed? A: I believe you have seen the news release about the phone call between President Xi Jinping and President Duterte. They talked about the bilateral relationship, the South China Sea and nuclear issue of the Korean Peninsula. As for President Duterte's communication with President Trump, that is a thing between them. China's position on the Korean nuclear issue is consistent and clear. We are committed to denuclearization of the Peninsula, peace and stability on the Peninsula and peaceful settlement of the issue through dialogue and consultation. That is the message that we have conveyed to both the US and the Philippines. As for your question, the phone call was made based on prior agreement. Q: The Japanese Finance Minister said today during a press conference that the Chinese Finance Minister who was supposed to be attending the trilateral meeting between Japan, the ROK and China was not there. Did he travel to Japan at all? A: I would refer you to the Ministry of Finance. To my knowledge, Vice Finance Minister Shi Yaobin attended the China-Japan-ROK finance ministers and central bank governors meeting on May 5 in Yokohama, Japan. The meeting focused on the situation of macro-economy in the three countries, and fiscal and financial cooperation in the region. Q: The Foreign Ministry has announced the upcoming visit by Vietnamese President Tran Dai Quang. Can you elaborate on the arrangement and agenda of the visit? How do you view the current China-Vietnam relationship? A: At the invitation of President Xi Jinping, President Tran Dai Quang of the Socialist Republic of Vietnam will pay a state visit to China and attend the Belt and Road Forum for International Cooperation from May 11 to 15. President Xi Jinping will hold talks with President Tran Dai Quang during his visit, and other Chinese leaders will meet with him. The two sides will discuss how to strengthen the good-neighborly and friendly relations and deepen practical cooperation between the two countries under the new circumstances, and chart the course for the development of the bilateral relationship in the next phase. It is believed that the visit will meet our expectations under our concerted efforts and bring China-Vietnam comprehensive strategic cooperative partnership to a new high. The China-Vietnam relationship enjoys a sound momentum of growth. Close high-level interactions, expanded cooperation in economy and trade and active people-to-people exchanges have brought tangible benefits to the two peoples. The Chinese side will work with the Vietnamese side to consolidate and develop the comprehensive strategic cooperative partnership and safeguard our common interests. 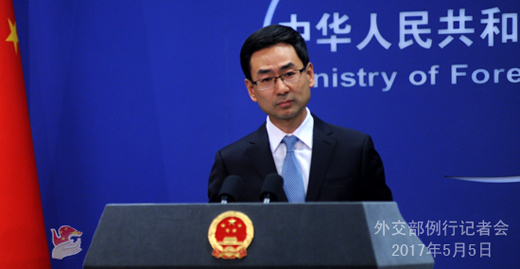 Q: First, China last month declined to attend the foreign ministers' meeting of Russia, India and China, apparently due to its objection to Dalai Lama's visit to Arunachal Pradesh. Can you confirm it? When will this particular ministerial meeting take place again? Second, there are concerns about how China is going to handle the disputed sections of the various Belt and Road roads and ports. Will China look at this issue during the forum? A: On your first question, the Chinese side places great importance on the China-Russia-India cooperation mechanism and has actively participated in the foreign ministers' meetings and other activities within the mechanism. To my knowledge, China, Russia and India are communicating and coordinating with each other about the schedule of the next foreign ministers' meeting. On your second question, we have been stressing that the building of the China-Pakistan Economic Corridor will not affect China's position on the issue of Kashmir. It is an issue left over from history between India and Pakistan, which we hope will be properly addressed by the two sides through consultation and negotiation. Q: We heard from officials in the Democratic Republic of Congo (DR Congo) that 14 Chinese nationals traveling on tourist visas have been arrested in the country on suspicion of illegally cutting down and exporting red wood. Does China know about this case? A: The Chinese side has noted the report. We respect DR Congo's fair handling of this case in accordance with the law and also hope that Chinese citizens' lawful rights and interests will be protected. I want to stress that as a signatory to the Convention on International Trade in Endangered Species of Wild Fauna and Flora (CITES), China pays great attention to combating illegal trade in wild animals and plants and takes a "zero tolerance" approach to illegal trade in endangered wildlife and their products. The Chinese customs have organized many law enforcement operations targeting the smuggling of endangered wood. The Chinese side supports DR Congo's operations against red wood smuggling, and will join the international community in helping DR Congo effectively improve its law enforcement capability, and contribute to the lawful and sustainable international trade in endangered wood in DR Congo.